Thanks to advances in technology, homeowners today have many options for water heaters based on different budgets, energy sources, and household sizes. Here is a breakdown of some common types of water heaters and which one could suit you best for your needs. Gas Water Heaters: Gas water heaters have high recovery rates (the time it takes for water to reheat). While they have higher upfront costs and must be vented outside, they are more affordable in the long run. Electrical Water Heaters: Electrical water heaters are easier to install and maintain, but cost more to run and have slower recovery rates. Check energy source - Gas heaters use propane or natural gas, while electrical water heaters can just be plugged into your home’s power supply. Research utility costs in your area to choose the best fit for your home. 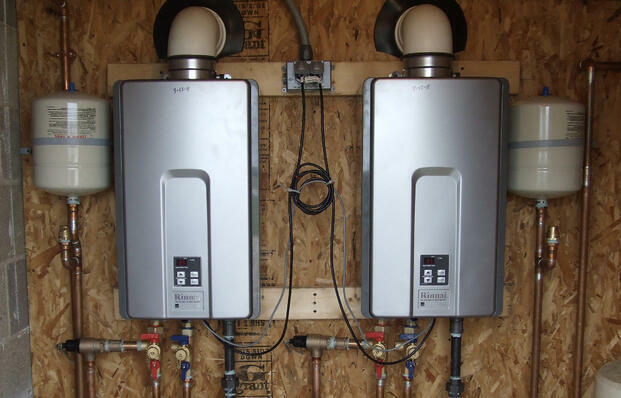 Space - Traditional water heaters require a lot of space, while tankless water heaters are small and compact. See if your home is big enough to house a traditional water heater. How much water do you need? - Water heaters come in all shapes and sizes. Evaluate how much hot water you or your family need. Looking to install a new water heater? Contact A. Borrelli to discuss the option that will best suit your needs.